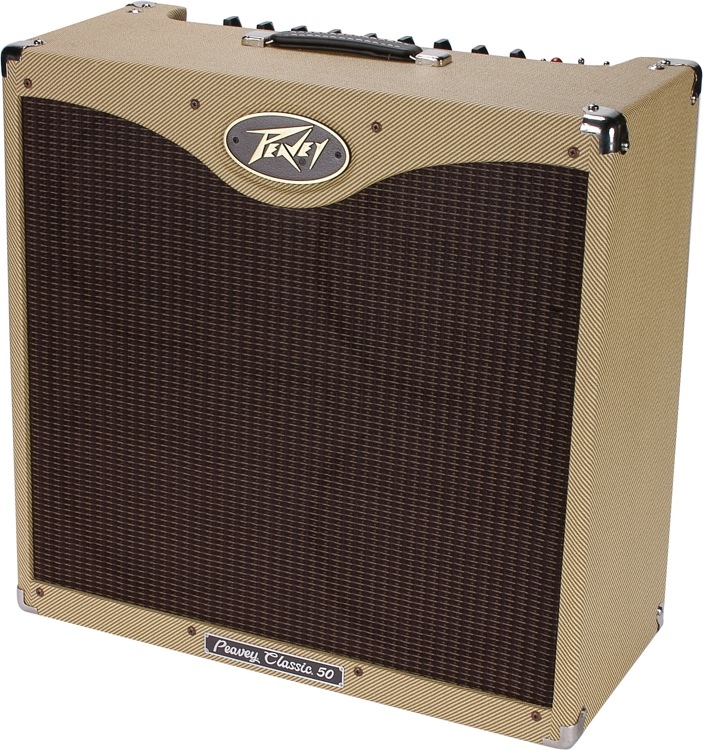 Classic 50/410 - Tweed, Tube Combo Guitar Amp from Peavey in the Classic series. "Not a bad amp for the money!" First, the review posted by iamqman here is dead on, this amp has a beautiful warm clean with a mild EL84 overdrive on Channel 2. Very much targeted at country and mild rock applications (great tones for jazz too). I have the 4x10, and depending on the speakers it ships with (Peavey uses 3 different speakers at times), the amp can sound pretty thin. Now, nobody buys an EL84 amp hoping its big and bold like a 6L6 amp (Bassman), EL84 tubes are a different thing, very rich complex overdrive, but not particularly fat. The 4x10 version is going to be more mid-high voiced with less bottom end than the 2x12 version. If people are expecting this 4x10 tweed amp to sound like a Bassman, it certainly does not. 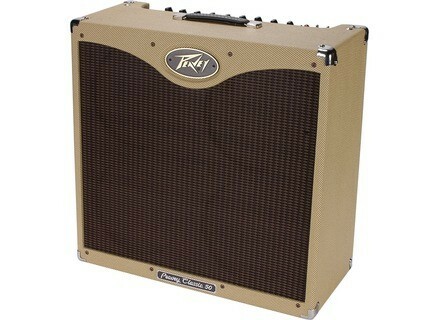 The Bassman is a 6L6 amp, big and bold tones but much less features and much less range of tones to this Peavey. This Classic 50 probably sounds more Marshall-ish than Fender-ish. It is not a Bassman clone, much as it looks like it visually. For $800, this 4x10 Classic 50 is a ridiculuously good deal. Its a beautiful amp, has a lot of features, sounds very, very nice (if a bit thin on overdrive channel), and is so darn cool. You may chose to run an eq pedal in the loop to boost the bottom end a touch, no big deal. Overall, a beautiful amp and a great value.